“B2B Disruptive Marketing”: another empty concept? I am always very skeptical about the many “new” concepts or wordings we use in the marketing world. “Cloud”, “Big Data”, “Growth Hacking”: a lot of fancy concepts which keep being promoted as revolutionary movements in marketing conferences, keynotes or trade shows, when in actual fact most of these “new” concepts have been actively used and proven for decades. I decided to find out if the latest “B2B disruptive marketing” was one of these so-called revolutionary movements. #B2Bdisruption: a hashtag growing in popularity, on both a macro level, all social media and a micro level on Twitter alone, gaining great usability. Before I begin using concrete examples, in answering the question provoked above, I want to start with a simple statement: it can take up to 10 years to confirm if a so-called disruption actually took place or whether what we experienced wasn’t just another movement in innovation. 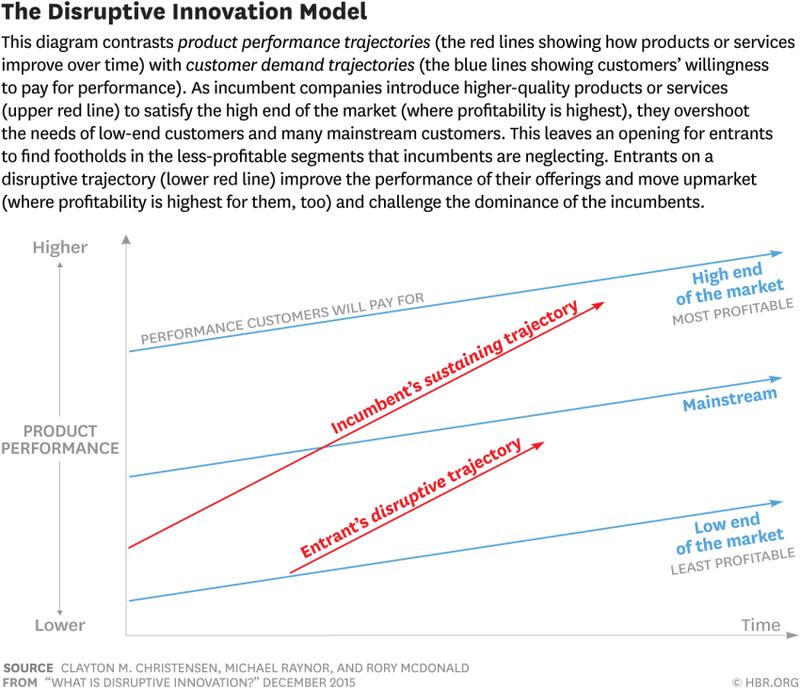 “Not all innovations are disruptive, even if they are revolutionary”¹. Take the example of the “PS. I love you” story by Hotmail. The storyline shows two hardware engineers, Sabeer Bhatia and Jack Smith, wanting to launch the first webmail. This story is considered today as one of the foundations of what we call today “growth hacking”. Did Sabeer and Bhatia have any idea that their movements would be called a disruption 20 years later? Not one second. More information regarding this point can be read in the book “Growth Hacker Marketing: A Primer on the Future of PR, Marketing, and Advertising” (my book report HERE) by Ryan Holiday. In other research I conducted, it appeared that the term disruptive innovation was actually coined by Clayton M. Christensen in 1995. The funny aspect to this is that I found articles on serious French websites denoting that “DISRUPTION” was registered as a trademark in 1992 by the French international advertising agency TBWA, claims Jean-Marie Dru, current Chairman of this company. His article available here (in French only sorry). I’m not searching for old dusty pieces of resources here, but I do believe it is interesting to consider the fact that this, now common, concept of disruption is more than 20 years old! And use a business model with structural cost advantages (relative to existing solutions). Thus, B2B disruptive marketing is definitely not an empty concept. However more care needs to be taken into its application. I don’t know many B2B marketing concepts which actually were disruptions. I doubt you do. But if you do, you might need to both reconsider your definition of what a disruption really is and whether the movement you thought was a disruption, does in fact correspond to this concept. On a macro level of B2B, I can easily think of disruptions, for sure, in the manufacturing industry with virtual prototyping. But when I think of disruptive innovations in B2B marketing, I’m not so confident. Many companies and consultants have been trying to highlight the most disruptive innovations changes in the B2B marketing playground. In 2012 Eloqua & Jess3 even created an infographic explaining the history of disruptive innovations in B2B marketing. After all the pieces of material I’ve read, on this topic during this research, I came to the conclusion that most credible experts could not even name five disruptive innovations that changed the rules of the B2B marketing playground. Why? Because the main marketing disruptions were not especially evolved for B2B. A perfect example being: cloud and APIs. As a B2B marketer I experience everyday how disruptive these technologies were and how they influenced my working life as a B2B marketer. With CRM tools being accessible in a cloud ecosystem, leveraged by APIs, much of the buyer’s journey now, unlike before, takes place prior to talking to a salesperson. All B2B marketers can agree on this, this was complete game changer. Though this movement changed the game for B2B marketers and sales, you still cannot label it a B2B marketing disruption. Ultimately it functions as a marketing & sales disruption. This is why I find it difficult to imagine how “B2B marketing disruptions” are discussed at official events such as one by the Canadian Marketing Association. In saying the following, I do not wish to cause offence to the organizers of this event but I just don’t believe the description of the event should read “disruptive B2B marketing”. Instead, the description should read “innovative B2B marketing: how to become disruptive?”. Nonetheless, we can’t judge the CMA for using this term to tap into a market attracted to the concept of disruptions, we’re all marketers here. Now I have to ask you the question: what is the most amazing B2B marketing disruption you have in mind?